The process of embodiment is yoga. In Embodyoga® we use the practices of dharana, dhyana, and samadhi as the foundations for our inquiry into the nature of our form. We utilize the terms “inquiry”, “somatization”, and “embodiment” in order to place our meditation within our form and function. From our perspective, we focus on all aspects of body-mind as the subjects and objects of meditation. Using asana, pranayama, pratyahara, and dharana, we refine our processes of perception to experience the great gifts of yoga, dhyana and samadhi. We explore our body-mind system to discover our innate intelligence just as we follow a thought to its source in practices of the mind. You may say, that the body is constantly changing and ultimately will dissolve and decay, and therefore it is not suitable as an object for meditation. And I will say to you, “just like mind.” Mind and body are both equally subject to decay, death, and dissolution. The nature of the perceiving awareness is empty, awake, and free of clinging. This reality is at the source of both body and mind and is fully available to experience from either starting place. Curiosity spurs our inquiry. Without curiosity nothing happens at all. Curiosity is deeply interwoven with desire in its purest form. The importance of recognizing and cultivating our natural curiosity cannot be overstated. We practice dharana — inquiry — to collect and direct our thinking, sensing, and feeling toward a chosen aspect of body-mind. We channel our inquiry in a single direction. As our experience becomes more focused, our attention begins to flow more effortlessly in the direction of our chosen object. This is dharana. Since our inner body and its functions may be unfamiliar to us, we utilize visualization, movement, and touch to stimulate our conscious awareness. As our awareness settles into our chosen resting place, a deeper experience of body-mind is revealed. When the flow of awareness becomes effortless and we are thoroughly engrossed in the process, we call it somatization. Somatization is the body’s expression of the mind’s state of dhyana or meditation. There is still a subject (I) and an object (our chosen focus). When we somaticize, we are involved in intimate communication with our object, experiencing its sensations and qualities on every level. There is clear delineation between experiencer, or subject; experiencing, or relationship; and the object of perception. This exploration can be a very satisfying process that offers tremendous insight and information about both subject and object, but it is not samadhi, and it is not embodiment. 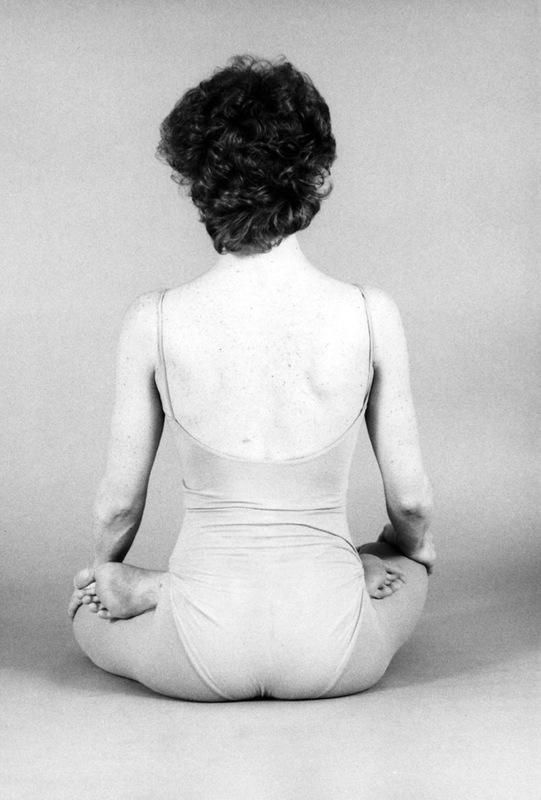 Embodiment is samadhi. In full embodiment, there is no perceptual separation between subject, object, and the communication between them. There is only act of experiencing, which is the union of all three. Awareness of self as separate from experience or experiencing dissolves completely into the radiance of pure awareness recognizing itself. The process of yoga starts where we are. It begins and it culminates in the psycho-physical-spiritual expression of life,. It is all happening right here, right now, in this body, this mind, the immediate environment, the community, and the world. Dharana, dhyana, and samadhi are the culminating steps in Classical Yoga. By adopting a Tantric approach to our bodies, we incorporate these practices that have been reserved for the mind into a whole-body-mind practice. We accept the fact that mind and body have exactly the same source and are of equal value for our inquiry into the nature of life. Every one of us is absolutely good enough exactly as we are right now, and we can see life as it actually is. It is not necessary to improve, evolve, and get smarter or better in any way. As long as we are trapped in the idea that we need to change in order to find clarity, we will never settle and do the simple work of seeing what is actually true now. Thank you Patty for posting this. I live with and by my daily Truths. Knowing what is True is my Support. Knowing where or what my support is guides my action or my choices to act or not. It clears the clutter of my procrastination and helps me choose right action. Of course this is my practice. Key word “practice”. Still have the rest of my life to learn or be still. I have time. Thanks Patty – fantastic Blog entry. The connections that you draw between ancient yogic wisdom and Embodyoga ring True. Such beautiful and abstract concepts – I mean those Sanskrit terms are loaded but you are able to make them concrete – and bring them into the immediate sphere of inquiry. They become tangible – we can start to work with them! I agree that starting our inquiry at the Annamaya Kosa – the sheath of the physical body is very useful. This often leads us to inquiring into the nature of the mind and beyond. And some of us with a greater curiosity for the mind and its facets need to work our way backwards, back to the body for grounding.